The polished Ikos Dassia hotel is the definition of modern luxury, with tasteful understated décor that lends an effortlessly elegant ambience to the place. The muted, neutral aesthetic is continued throughout the hotel and into the rooms, decorated in warm whites and creams, and cool blues and greys that complement the stunning sea views perfectly. As you step outside, the elegant aesthetic is continued with pristine gardens creating an oasis-like feel, and the sweeping curves of the pools inviting you in. There is also an immaculate stretch of beach reserved exclusively for hotel guests, with sun loungers and parasols laid out on the pale golden sand. For the ultimate in indulgence and relaxation, book yourself a luxurious treatment at the Ikos Spa by Anne Semonin, with the full range of internationally acclaimed products at your disposal, where you can also detox and refresh in the thermal suite. Alternatively, for a more energetic approach, the Ikos Dassia offers an extensive range of sports and activities to keep even the most active guests on their toes, including water sports, dance classes, sailing, and tennis academies. Hotel child prices apply to ages 2–11 years. The hotel has 411 rooms, suites, and villas. Infinite Lifestyle™ – breakfast, lunch and dinner served in: FLAVORS (Mediterranean breakfast, lunch and dinner buffet), OUZO (Greek à la carte dinner, breakfast and lunch buffet), PROVENCE (French Provencal à la carte dinner, breakfast and lunch buffet), FRESCO (Italian à la carte dinner), ANAYA (Asian Fusion à la carte dinner), EL VASCO (Basque-inspired flavours), KERKYRA (local Corfu Island cuisine), ERGON DELI (Traditional delicatessen Greek Flavors). Extensive selection of wine labels from Ikos wine cellar. Dine Out Service – use of designated local restaurant(s). All À La Carte restaurants require reservation before dining. Beach and Pool food and beverage service. 24-hour room service. Midday snacks, coffee and tea, sweets, and ice cream, local and international branded drinks – all served in several bars (at least one open 10.00–02.00). Fully stocked mini bar daily replenished. Table tennis, darts, live shows, aqua aerobics, board games, movies library, and beach volley. 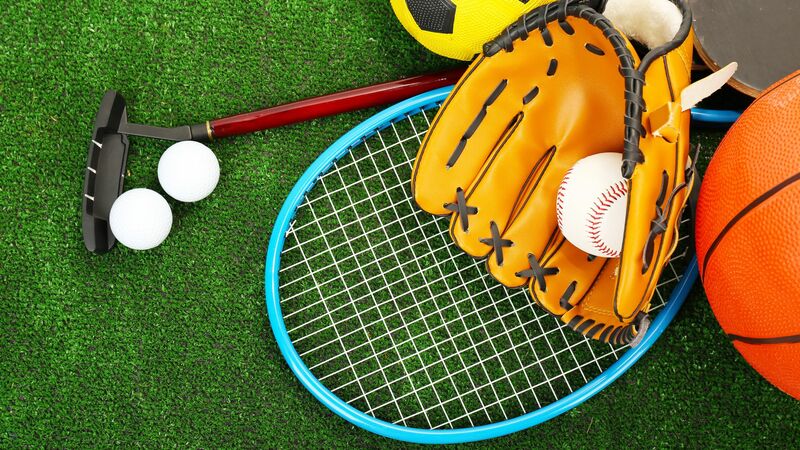 Daily supervised sports activities. Fitness centre (age 16+), tennis courts (reservation required), mountain bikes (unlimited use – reservation required), and non-motorised watersports (windsurfing once per stay, canoe/pedalo/SUP once per day 20 minutes). Main swimming pool, kids pool, infant paddling pool, indoor pool (age 16+), steam bath and sauna (age 16+). 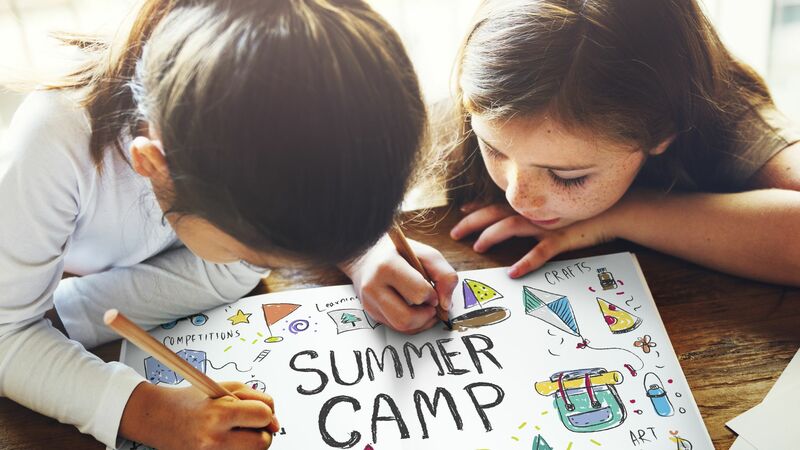 Usage of Kids' Club (4–11 years) and Teenager Club (12–17 years, operated during July and August) operated by experienced UK childcare provider (reservation required). 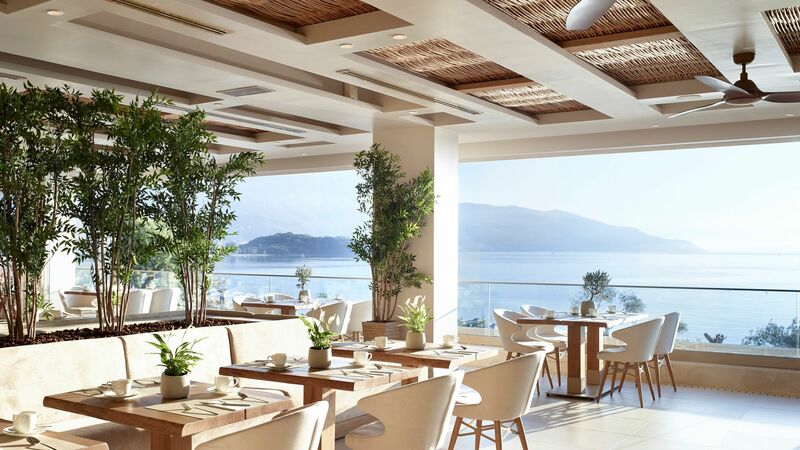 Sample the unique flavours of this Asian fusion à la carte restaurant, with a choice of tables in the main hotel or out on the terrace overlooking the Ionian Sea. Shorts and flip flops are not permitted during dinner service. Enjoy Mediterranean food as you gaze out over the sparkling Ionian Sea at this buffet style restaurant. The atmosphere is casual and relaxed, so there’s no need to book ahead. 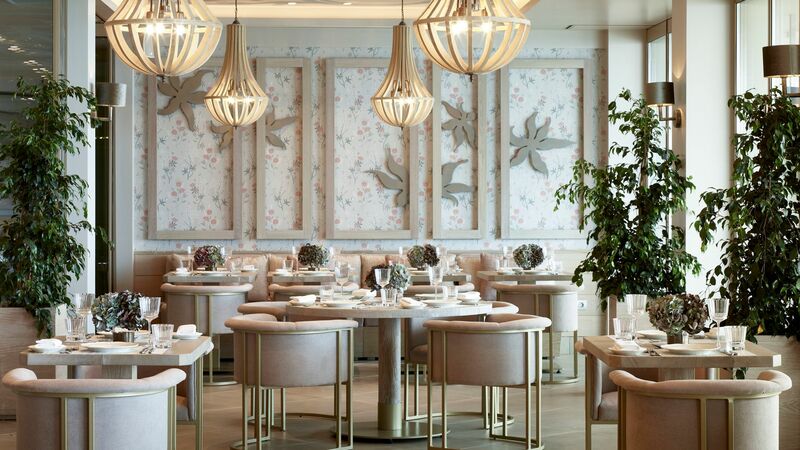 Located in the main hotel building, Michelin starred Chef Ettore Botrini has created an elegant menu of classic Italian dishes with an innovative, contemporary flair. Classic Greek dishes are given a modern twist, redefining tradition and creating the perfect menu for sharing in this vibrant restaurant. 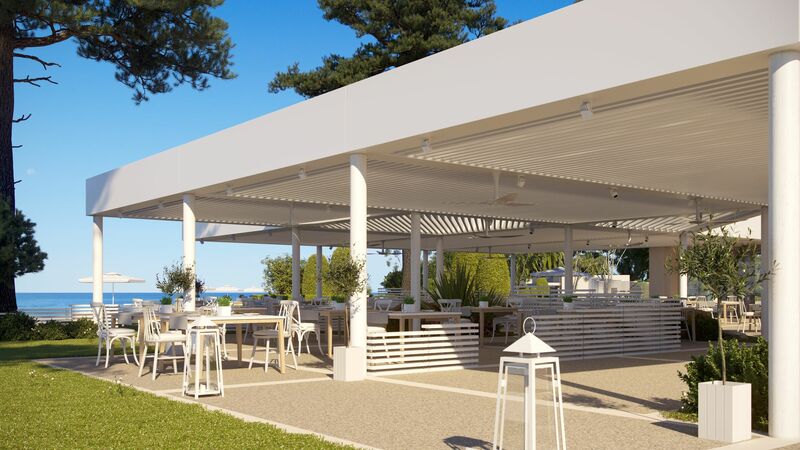 Relax in the open air beachfront setting of Ouzo as you discover the authentic flavours of Greek cuisine in this à la carte restaurant, run by Michelin-starred Chef Lefteris Lazarou. 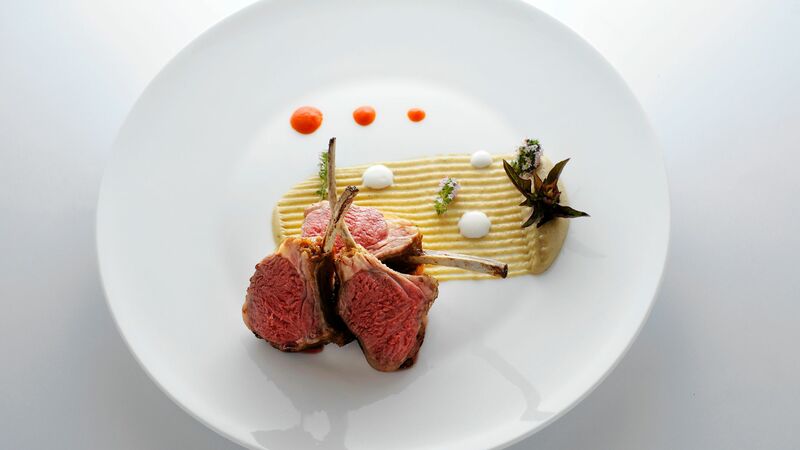 Transport yourself to the South of France with the sophisticated flavours of Provence’s à la carte menu, showcasing the best of French cuisine. 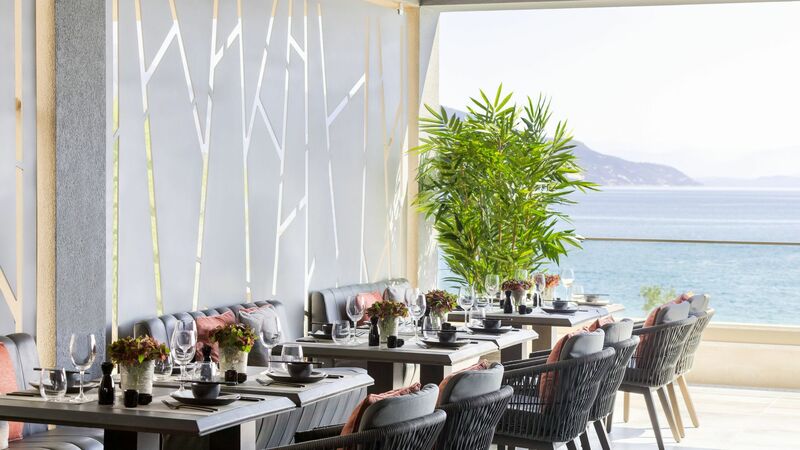 This à la carte restaurant uses only the finest ingredients to elevate its menu of traditional local Corfiot dishes, perfectly complemented by its stunning beachfront setting. 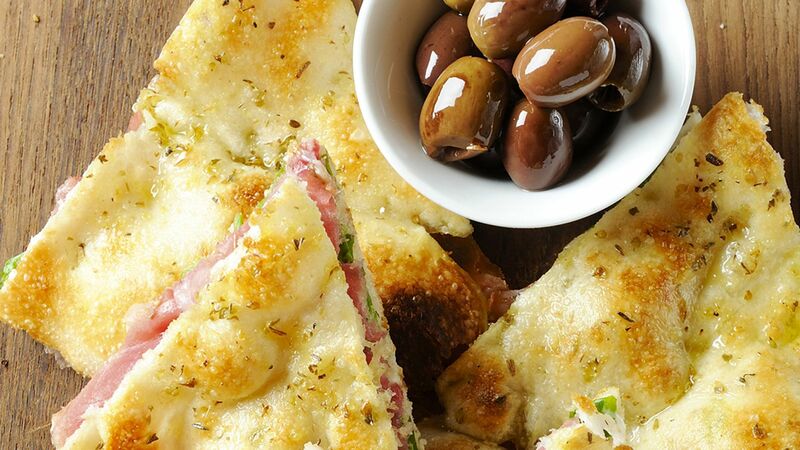 The island of Corfu is famous for its delicious fresh cuisine, and so guests are free to venture outside of the hotel to dine at some of the finest local establishments at no extra cost. Hotel staff will be happy to assist you in making reservations. The hotel’s main bar, decorated in tasteful muted tones, is the perfect place to relax with cocktail with friends. The ideal setting for a romantic drink in the evening where you can sample Ikos Dassia’s extensive wine cellar. Sit back and relax as you peruse the extensive cocktail list at the Lounge Deluxe Collection Bar. If you’re in the mood for a nightcap after dinner, make your way to the sophisticated Teatro Theatre Bar for a little live entertainment. If you don’t wish to stray too far from your sun lounger in search of refreshments, the Main Pool Bar is perfectly situated right beside the pool. For a little afternoon refreshment in a relaxed, tranquil environment, stroll down to the Adults-Only Pool Bar. Regardless of age, nothing quite compares to the sheer pleasure of handmade gelato on a warm, sunny day. 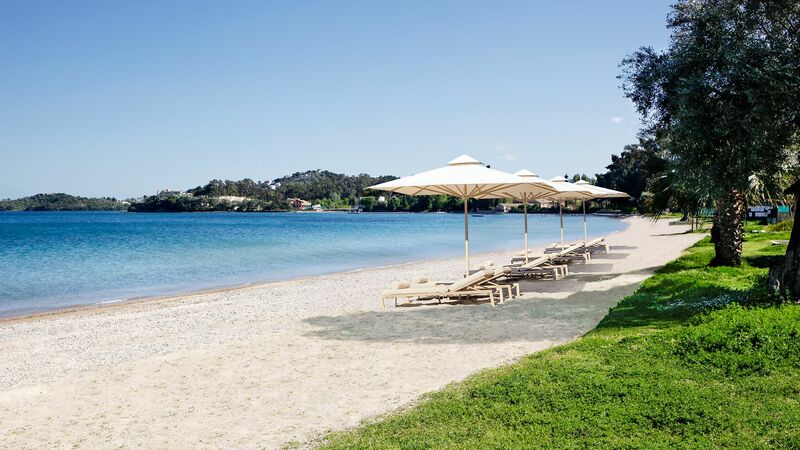 Guests of Ikos Dassia can enjoy the pleasure of reclining on their own 650m stretch of exclusive beach, with luxurious sun loungers and white canvas parasols. 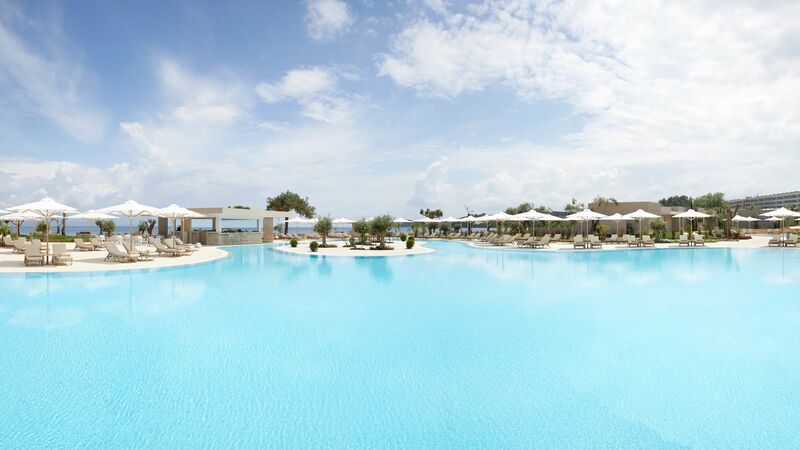 The clear blue waters of the Ionian Sea are just a few short steps away across perfectly manicured soft, golden sand. Take a refreshing dip in your choice of heated indoor and outdoor pools. There are also separate pools for children and babies to enjoy. Ikos Dassia provides beach-based childcare, allowing you to fully relax in peace, safe in the knowledge that your children are being entertained and well looked after. For the youngest guests, there is the Heros Crèche where babies and toddlers can play together under fully qualified supervision. Older children will love the Heros Kids Club, where they can make new friends and join in with fun activities, including pool games, arts and crafts, and time spent at the outdoor playground. 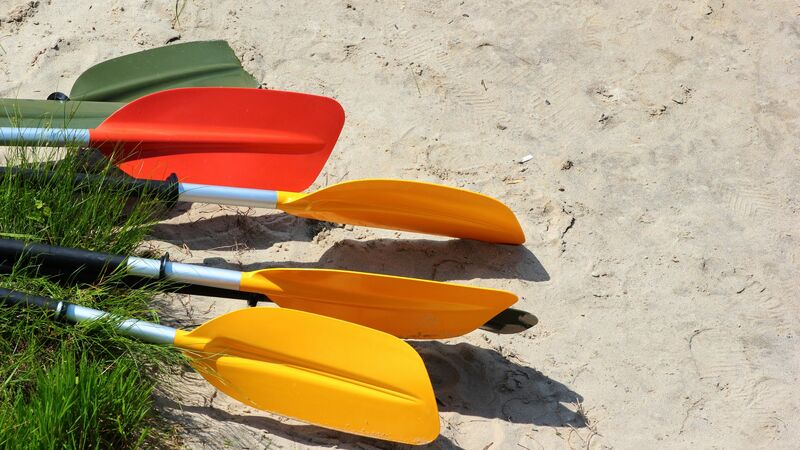 Specially designed for children aged 13 years and older, your teenagers can spend time with kids their own age and enjoy learning new skills such as watersports and tennis. Football fanatics will love the WK Football Academy, where they can learn drills, dribbling skills, and play five-a-side matches. Groups are split into age groups of 5–8 years and 9–14 years. 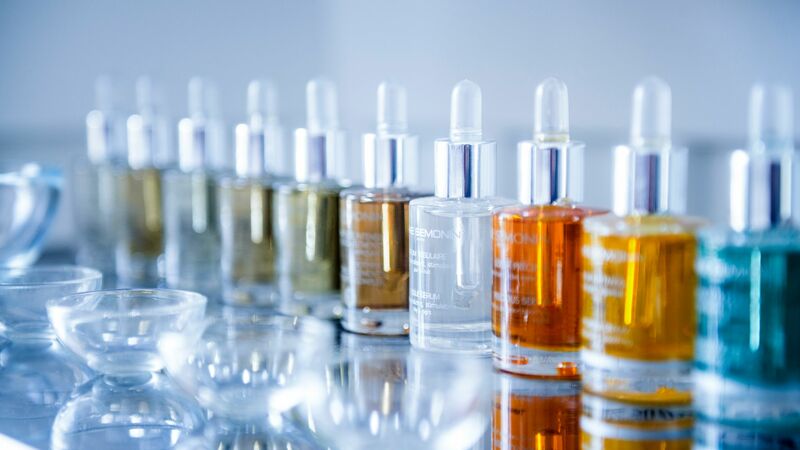 Take a little time out to pamper yourself at the Ikos Spa by Anne Semonin, internationally renowned for their luxurious products crafted with the most precious natural ingredients. Escape reality for a while with a blissful facial, body treatment or massage, tailored to your individual needs. There is also a menu of treatments designed specifically for men and their unique skincare needs. Couples can indulge in quality time spent together with rituals for two for a romantic treat. Guests can also enjoy full access to the spa’s relaxation area, thermal suite offering a sauna and steam room, hair salon, nail salon, and beauty corner offering an extensive range of Anne Semonin products for purchase. Also in the spa suite, guests can revitalise and energise their bodies at the Fitness Studio where they can take advantage of state of the art equipment and cardio fitness facilities. Guests of the hotel have an extensive range of sports at their disposal for no extra cost, including beach badminton, water polo, Zumba, windsurfing, pedalos, diving lessons, canoeing, beach volleyball, yoga and pilates, among others. For a reasonable additional cost, guests can experience private boat tours, excursions, yacht rentals, water skiing, scuba diving, catamarans, inflatables, ringos, and specialised academies for tennis, windsurfing, sailing and football. From theatre performances and cinema screenings to live music and exclusive parties, Ikos Dassia know how to keep their guests entertained. Most evenings, you’ll be able to enjoy live music shows, from jazz one night to traditional Greek music the next. There are also shows put on for children to keep the whole family happy. Found on the north east coast of Corfu, in pretty Dassia Bay, Ikos Dassia is ideally located for those wanting to spend their days making the most of the island. It’s on a beautiful coastline where you’ll find some of the best beaches and plenty of opportunities to relax. Corfu Town is just a 15-minute drive away and offers an upmarket marina area where you can watch the yachts from a restaurant or bar, shop in the boutiques, or explore the museums and history. If you prefer to see the coastline from a different angle, book boat trips and soak up the sun, snorkel and find secluded coves. If you’re feeling more active Dassia beach is one of the best spots on the island for water skiing. Ikos Dassia is a 25 minute drive from Corfu Airport. Promo Double Rooms Inland View are located in the main building, featuring a furnished balcony with views over the resort. The bathroom features a shower or bathtub. Please note the image used is of a Promo Double Room Sea View. Promo Double Rooms Sea View are located in the main building, featuring a furnished balcony with views over the Ionian Sea. Superior Double Rooms Inland View are slightly larger than the Promo rooms. Located in the main building, these rooms feature a furnished balcony with views over the resort. The bathroom features a shower or bathtub. Please note the image used is of a Superior Double Room Sea View. Superior Double Rooms Sea View are slightly larger than the Promo rooms. Located in the main building, these rooms feature a furnished balcony with views over the Ionian Sea. Family Rooms Inland View consist of two interconnecting Superior Rooms. Family Rooms Sea View consist of two interconnecting Superior Rooms. Junior Suites Inland View feature an open plan bedroom with seating area and a furnished balcony. Please note the image used is of a Junior Suite Sea View. Junior Suites Sea View feature an open plan bedroom with seating area and a furnished balcony with views over the Ionian Sea. Panorama Junior Suites Sea View offer a comfortable seating area and beautiful panoramic sea views from the furnished balcony. Panorama Junior Suites Private Garden and Sea View offer a comfortable seating area and beautiful panoramic sea views from your private garden. Please note the image used is of a Panorama Junior Suite Sea View. One Bedroom Suites feature a separate bedroom and living room and offer lovely views of the sea. Deluxe Junior Suites Garden View offer an open plan bedroom and living area with views over the gardens. Guests in deluxe junior suites enjoy the benefits of the Ikos Deluxe Collection which include; exclusive check in & check out, butler service, two complimentary neck & back massages per room per stay (16+ years), exclusive use of the Deluxe Collection swimming pool and private section on the beach, upgraded beach and pool service, one special dinner on the beach, bottle of Champagne upon arrival, upgraded mini bar, premium bathroom amenities, upgraded room service menu and a pillow menu. Deluxe Junior Suites with Private Pool Garden View offer an open plan bedroom and living area with furnished terrace with garden view and private pool. Deluxe One Bedroom Suites Private Garden offer a separate bedroom and living room and a private garden. Guests in deluxe suites enjoy the benefits of the Ikos Deluxe Collection which include; exclusive check in & check out, butler service, two complimentary neck & back massages per room per stay (16+ years), exclusive use of the Deluxe Collection swimming pool and private section on the beach, upgraded beach and pool service, one special dinner on the beach, bottle of Champagne upon arrival, upgraded mini bar, premium bathroom amenities, upgraded room service menu and a pillow menu. Deluxe One Bedroom Suites Private Pool Beach Front offer a separate bedroom and living room and a furnished terrace with private pool in a beachfront location. Deluxe Two Bedroom Suites Pool View feature two separate bedrooms, a living room and a furnished balcony with views over the pool. Deluxe Two Bedroom Suites Sea View feature two separate bedrooms, a living room and a furnished balcony with views over the sea. Deluxe Two Bedroom Suites with Private Pool offer a beachfront location and spacious accommodation with a separate lounge and wonderful views of the sea. Deluxe Two Bedroom Bungalow Suites with Private Pool Beach Front feature two separate bedrooms and a living room and a private pool. Deluxe Three Bedroom Villas Private Pool Beach Front offer direct access to the beach and feature three bedrooms with en suite bathrooms, spacious living and dining area and fully equipped kitchen. Outside, there is a large garden with outdoor BBQ and dining area, private pool and whirlpool. Guests in deluxe villas enjoy the benefits of the Ikos Deluxe Collection which include; exclusive check in & check out, butler service, two complimentary neck & back massages per room per stay (16+ years), exclusive use of the Deluxe Collection swimming pool and private section on the beach, upgraded beach and pool service, one special dinner on the beach, bottle of Champagne upon arrival, upgraded mini bar, premium bathroom amenities, upgraded room service menu and a pillow menu. Save up to 30% discount on the hotel price for holidays between 13 -25 April 2019 & 25 October - 02 November 2019. Save up to 20% discount on the hotel price for holidays between 04 - 24 October 2019. Save up to 10% discount on the hotel price for holidays between 30 April - 20 June 2019 & 29 June - 07 July 2019 & 25 August - 05 September 2019. Valid when booked by 30 April 2019. Please note the above offers require a minimum stay of 5 nights. Honeymooners staying for a minimum of 5 nights will receive one romantic candlelight dinner, sparkling wine on arrival and a farewell gift (wedding certificate to be presented upon check in). We are well seasoned travelers and have nothing but great things to say about this exceptional resort. The service is first class. Stefanie our liason went above and beyond at every turn. The resort is world class in every way. If you want to be absolutely spoiled for a very reasonable rate I highly recommend this property. The accommodation and restaurant choices are first class. The beach, the view, the amenities were amaaaaazing. We will definitely be back. ?????????????????????????????? “ What can we say... perfection! This was our 3rd Ikos visit, second to Dassia, and we can?? ?t wait for Aria in October. We took a punt on the weather in April, and one day was raining, but after that it was stunning. We had a sea view junior suite which is great for 2 adults and a 7 year old, kids of space, massive bed, as you will know mini bar is filled daily (including any specific requests, we said milk every two days for our daughter and coffee!). Food is outstanding across all restaurants, flavours was great for Breakfast and lunches, we used a la cartes for dinner - but not before a glass of wine in the wine bar with a cheeseboard! That?? ?s a great addition over Oceania, wish it was at Aria! I am a sucker for Greek food so Ouzo, Kerkyra and Ergon Deli win for me but all restaurants were amazing with great staff and atmospheres! Provence was my wife?? ?s favourite, and I love that our 7 year old can eat all adult meals - she loves seafood and didn?? ?t miss out at all! Ouzo and Kerkyra have great lighter lunch menus, and food by the pool or beach is awesome! Cocktails are great and quality of drinks is about of this world! Basically in building, quality and service the hotel is perfect. The icing on the cake is the people, les by example by a great management team who are never too worried to get their hand dirty and a dedicated manager (George Spanos) who is ever present making sure his and the brands exacting qualities are met. Stefanie from Guest Relations is an outstanding superstar and could not be more helpful, but most importantly she was perfect with our daughter remembering her for October, valuing how she felt and treating her as an adult. She wrote answers to the letters my daughter wrote to her, asked her to draw pictures for her and engaged brilliantly. Molly cannot wait to see Stefanie again! She exudes a natural hospitality which is an amazing gift. Eleni is new and a Stefanie in the making, learning from the best she was happy to lead our daughter into the hotel as we parked the car, talking to her about the bar and jewellery - again so genuine in her care. Athanasia in the wine bar is very similar, but equally and amazing somellier, very knowledgeable, and clearly a master of her cellar! Equally this was done alongside welcoming in a 7 year old who was desperate to enjoy the cheeseboard what accompanied mum and dads wine adventures! In every restaurant staff were so engaging and genuine in their interactions, Thalia in Ergon Deli was a great example, and the teams on Sky were led by Bogdan who was attentive to everyone?? ?s needs, even when the service went a little wrong they were on top of it and staff were so concentrated on getting it back on track, Georgia in Provence was a clear example of this! We hired mountain bikes most days, the hotel is well set up with a 1km track round the outer edges, if you run there are two strava segments on this! The spa was the perfect way to cool down after a run, really easy to use the wet facilities just to cool off and use the sauna and steam room! The location is amazing, a stunning view across to Albania (beautiful bay), pedalo, paddlebaord and canoeing is great fun in the calm waters! Corfu town is stunning and about 20 mins away, on the included shuttle bus! There is very little to spend on over the AI package bar the shop and tourist tax! You simply have to go, no one could be disappointed at Ikos, it is perfect, a blend of location, facilities and people! There is no doubt this is a 5 star place! This was our first all inclusive holiday as not usually our cup of tea but we were definitely pleased we chose this resort. The staff are exceptionally polite, food in the restaurants is delicious (even if service could be chaotic at times- our starter and mains arriving at the same time!) and rooms are spotless. We visited around Easter therefore there were a lot of families with young children but the hotel does its best to still have adults only areas which is great for couples. We really don't have complaints about this hotel although do have a few "tips". 1. Get the Ikos resorts app, it makes restaurant reservations very simple and lets you know what is going on in the resort each day, otherwise you rely on having to look at the paper "itinerary" at reception, as it is not advertised anywhere else. 2. The shuttle bus into town is really useful for days out but be aware it does stop between 2pm -6pm each day and I would suggest going to the main resort hotel for pickup as on one occasion there was not any space left for us waiting at the second reception and had to wait half another for the next one. 3. If you want to take advantage of the complimentary 1 day free care hire, find out as soon as you arrive if you can book. We were there for 5 nights and it was fully booked for the full duration of our stay and not available for us. Overall still a brilliant resort and would like to try some of the other Ikos resorts in the future.